Home > Resources > From the Biggest Cloud to the Smallest – and Then What? Technologies may have several claims to fame. Exceptional size is often one of them: the biggest airplane ever built, the smallest robot, and so on. Cloud infrastructures can compete in both categories. Scalability is often touted as a key advantage of cloud computing and storage. However, the tendency is to think about it in terms of getting ever bigger. 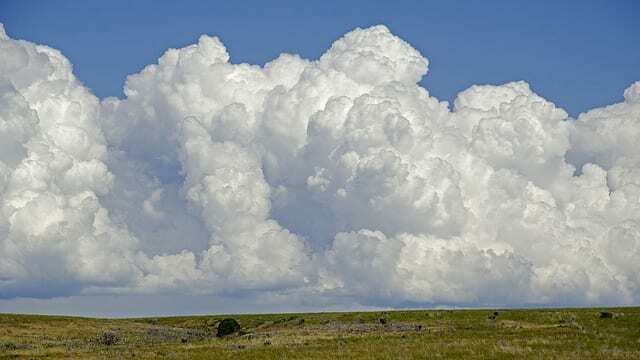 This is certainly a cloud service strength, but scalability downwards towards the smaller may well also be an increasingly large part of the landscape in the near future. May We Power Your National Economy? Who are the “big guys” in cloud computing? The three names that have the most brand recognition currently are Amazon, Google and Microsoft. IBM also puts together some hefty cloud infrastructures, like the one for the US Army that deals with more transactions than the New York Stock Exchange. But take Amazon, for example. It’s not easy to get absolute figures like the number of servers in Amazon’s data centers or the total amount of processing power. Instead, Amazon has simply said that in 2014 it was installing enough cloud power every day to host the Amazon online retailing business as it was in 2004. Grab a calculator! In 2004, Amazon e-tailing stood at US $7 billion. So, in 2014 Amazon installed enough cloud power to support a US $2.55 trillion e-tailing business. That’s almost as much as the entire national economy (GDP) of France, which in 2014 was about $2.82 trillion. Now let’s zoom in the opposite direction, from the macro to the micro. Cloud infrastructures need to be scalable, by definition, and preferably secure. However, nobody says they have to be permanent. After all, virtual machines that are spun up and terminated in the blink of an eye are all part of cloud operations. New visions of cloud computing include small point clouds that come into existence for temporary user requirements and that function with their own local data security, rather than using the security mechanisms of a larger cloud network. That means possibilities of increased data confidentiality and less snooping. A long time ago there was the mainframe. Then came minicomputers, and then personal computers. Now we have tablets and smartphones that offer large amounts of personal computing power with extensive possibilities of both collaboration and autonomy. Substitute ‘public cloud’ for ‘mainframe’. Minicomputers then become the equivalent of private clouds, while PCs map onto the “cloud in a box” systems that are now available. Tablet and smartphone ultra-personal computing-power-in-your-pocket correspond to personal, point clouds described above. Where Will We See It Again? Good question! What we’ve discussed above is a common enough phenomenon. Technology starts as a specialized solution only available to a privileged few, who may then choose to rent it out to a larger market. Then come less expensive, more accessible solutions, and the installed base of owners expands. Power goes up, cost and size come down, and even more people buy. So watch out for the next big-ticket item (big data analytics software? ), see if lower budget versions are becoming available, and get ready for a new wave of popularization.